We are entering the last term of the year. A lot of exciting events are waiting upon us in this term. 15 October: Parent’s evening from 6:30pm until 8pm, to collect report cards, discuss school photos, concert, debutant ball and Grade R ‘s graduation ceremony. 17 November: Concert, Debutant Ball & Graduation ceremony. 28 November: Educational visit from A Edutainment. 7 December: Christmas Surprise visit from Milkwood Learning Academy. 12 December: School ends. Collection of final Report Card. It is also part of the fund raiser and where your child stand the chance to win a bicycle at our Big Three-In-One event on the 17th of November. This time there will be lots of prizes to be won, not just for the children but for our parents as well. Closing date for this form will be on the 9th of November 2018. More information will be discussed at our parents’ meeting. We will discuss it thoroughly with you at the parents’ evening. In the meantime it will be appreciated if you can buy Angel Wings which you can find at the Chinese shops @R45. These shops also sell Bow Ties for the boys that cost between R8 and R12. One of our Gr. R learner’s mom, Noloyiso Mboxwana, also sell Bow Ties (High Quality) between R25 and R35 and you can order with her via Whats App (072 965 8236). I will send photos of the Angel Wings and Bow Ties on our Whats App Parents’ Group. In the start of each new term we run out of glue, crayons are used up, toilet and tissue supplies are very low. We are asking and reminding you to supply your child with the necessary items to bring to school, according to the stationary list we gave to you in the beginning of the year. 1 packet Monami crayons /Can be any brand but must be the retractable wax crayons. (Gr.R & RR); For some reason we are short on the colour red – if by any chance someone can supply us with a lot of red wax crayons, we will really be so blessed. 1 Big (Pritt) glue stick. In urgent need of glue, please! (Marked) Water Bottle for our oncoming hot Summer. Healthy lunch box for your little one. Extra set of clean clothing in a plastic bag. Let your children go to bed, not later than 8 o’clock. They are practicing very hard for the Concert and need their rest. I want to take this opportunity to thank you for your ongoing support and to encourage all parents to attend our preschool’s final parents’ meeting on Monday 15 October 2018. Thank you for your support with your kids’ outings and puppet shows. I am so proud of our children and they learnt a lot from these educational events. The Western Cape Health Department will visit our Grade R’s tomorrow, 13th of September, to give them there required immunization. They will also give the Vitamin A and de-worming drops to those children who missed their previous visit. To enable the Dept. to do their job you, as parents, must complete and sign the attached form and send it back tomorrow with your child’s Road-To-Health-Book (Clinic Card). We are currently practicing for the annual year-end concert. Although there is a short school holiday during the first week of October, our pre-school will still go on as normal. Please try not to keep your child out of school for the up-coming holiday, as we really need this time to practice for the concert. I will soon send information letters out regarding the concert. We have a booking for the concert to be held on Saturday 17th November 2018 at the new Life Church building in Somerset West. There are only two months left to continue and complete our Fund Raiser Competition. As from next week Monday we will go full speed ahead with the competition to win the bicycles. The winners will be announced at the concert. Please make sure that your child’s communication book is in their school bag and check it every day for important information regarding your child, fund raiser forms, events, etc. We are experiencing a very long Winter; where our kiddies are suffering from running noses as well as runny tummies. We urge you to send a box of tissues, two toilet rolls and baby wipes with your child. Our kiddies are also working very hard in class and do a lot of educational fun activities. It will be appreciated if you can also send more glue sticks and twist wax crayons. We attached a little plastic bank-bag to your child’s communication book; this will be used for tuck shop money, fees, etc. Clearly write your child’s name on any envelope you might send us. This process will make our task easier to collect the money and will prevent confusion and lost money. This term has started off with tremendous speed. We have already reached the middle of Term 3. Welcome to all our new parents and kiddies. Munashe Murimi, Patience Shezu and Ryan Gutsa in Gr.RR. Tinotenda Magejo, Ethan and Evan (Twin) Mazvarira, Michael Tigere, Quinton Malenga and Radley Gutsa in the Junior class. There are two educational Mobile Puppet Shows going to visit our kiddies, Edutainment and Two Oceans Aquarium. The first show will be held on this coming Monday, 27th of August, about The Dairy Story. There will be a cost involved of R25 per child. The show includes educational presentation, story, song and dance and a gift for the learners. The second show will be held in the first or second week of September. The date will be confirmed a.s.a.p. The theme for this show will be The Water Cycle Adventure. The cost will be R20 per learner and there will also be an option to purchase a book. Once again congratulations to Winnie Fari, Gr.R, and her family for winning the grocery trolley in our “Raffle Ticket” fundraiser. Thanks to every parent and their friends and family who bought a ticket in effort to raise funds for our pre-school. The pre-school’s annual Book Fare was a huge success where funds were raised and just reached past the R10 000 mark. This was a great team effort and thank you to all who assisted and participated in this fundraiser event. Parents evening was a huge success! Thank you to all the parents for your attendance and for showing interest in your children’s up-bringing and education. Welcome back to all from a well-rested Winter break. May you enter this term with your heart filled with the fruit of the Spirit. 19 July: Parent’s evening from 6:30pm until 8pm, to collect report cards, discuss school’s future plans and child’s progress. 20 July: The Draw of the Raffle ticket and announcement of the Lucky Winner. 26-29 July: Annual Book Fare @ Somerset Mall. Our biggest fund raiser. Thursday to Saturday from 9am until 7pm. Sunday from 9am until 5pm. 1 August: Johnny Magic Show @ R10 per child. There are still some Raffle-ticket forms outstanding. Please send those forms before Friday even if the form is not completed or still empty. In the case where your form is lost you need to send a notification letter or affidavit from the Police Station together with the funds collected. The draw will be done on Friday 20th of July and winners will be announced via phone call, Whats App or letter in child’s communication book. Please note that Parent’s evening will be held on Thursday 19July from 6pm until 8pm at Op Die Plaas Preschool, Cordoba road. Report cards will be distributed at your child’s class room. This will give you the opportunity to discuss your child’s progress with his/her teacher as well as important up-coming events. I want to take this opportunity to thank you for your support and to encourage all parents to attend this meeting to show your interest in your child’s class activities which will be presented by the teachers. I trust to see you all again at the parent’s evening! 2 Toilet rolls 1 Big (Pritt) glue stick. 22 June: End of the second term. & Closing date for the Raffle tickets. 25 June to 6 July: Preschool will still be open for those first two weeks. 9 July to 13 July: Preschool will be closed during that week for the Winter Holiday. 16 July: Start of the third term. 25 to 29 July: Fund raiser – Book Fare at Somerset Mall where your support and assistance will be of great value. The closing date for the Raffle ticket fundraiser will be next week and Friday on the 22nd of June. Please ensure that the Raffle form together with the money will be handed in not later than that Friday morning of the 22nd of June. The petrol has gone up so tremendously that the Taxi Drivers cannot keep up. They are losing out on wear-and-tear and other expenses, therefore the Taxi Drivers decided that they have no other alternative but to increase their fares. Please enquire new fares with your child’s taxi driver. Thank you to all the taxi drivers that transport and care for our children while on the road. Well done! It is appreciated. A Vetkoek and Mince sale will be held on Friday the 22nd of June. This is just what the doctor ordered for a cold Friday night supper! Please complete the order form below. The price of the Vetkoek and mince is R15 each. Order forms must be returned to the school on or before Thursday 21st of June. We have received the good news this week that Teacher Victoria has passed her level 4 teacher’ s exam with flying colours. Congratulations! We are all so proud of you, VERY WELL DONE! We had to say goodbye to Ithandile Dom in the Junior class and Junior Tagwireyi in Grade RR. We wish them well in their new environment. Enjoy a wonderful Father’s Day! I started with this verse today, because this is the theme of the year and we as a school experience it on a daily basis. The second term was filled with people who decided to shine a little brighter. The March holiday started with an Easter outreach from Life Church. I have never in the five years seen so many people arriving at our school. The children enjoyed the attention and of course the chocolates. We also received chocolate treats from False bay High school and his team of volunteers. Our lovely Friend Kim from HAT visited our school during Pets week. She talked about taking care of your pet and her two rescue dogs, parrot and hamsters came along. The success of these visits lie in the fact that we see the children’s confidence grow. The teachers had tears in their eyes to see the children overcome their fears. We had the biggest outing of the year when we went to the aquarium! Thanks to Carrin Blake (aquarium manager) and Life church who made this outing possible. The children were in awe and afterwards we received a compliment from the aquarium that stated that they rarely experience such a well-mannered school. Yeah! to the teachers and parents – keep up the good work. Halli, the mascot and Heidi Naude came for a visit and she gave a much needed talk about bullying. This is a world-wide issue and we cannot ignore it. We are so grateful to be in a relationship with Heidi and Halli. During the term we received donations and we met new volunteers. . Thank you to the ladies knitting group from Life church who knitted a bag of teddy bears. Each teddy bear is unique and comes with a prayer for the birthday child. The Preschool is a very busy place and sometimes children need extra help in certain areas. Thank you to Benita Alant (Speech therapist) who drives all the way out here to help some children. Students from Helderberg College served us for a few days and the extra hands helped a lot. This will be our third book fair and it is one of the important fundraisers for the school. We have a stall at the Somerset West Mall during that time. Please remember those dates and support us. Thank you to the teachers and children who worked so hard this term. Reports and holiday program will be handed out on 30 June. The school will be open during the holidays, but we will be closed from 17-21 July. We are coming to the end of 2016 and what a busy and exciting year it has been. Thank you to all the supporters and volunteers who gave of their precious time and resources. We are forever grateful. We had some interesting events in the fourth term and I eagerly share it with you all. During our reptile week we had a visit from a local snake handler. He brought some interesting snakes and reptiles along. Although the children were hesitant to come closer, some of them were brave enough to handle the snakes. Thank you Rynie for making this outing possible. The Grade R class completed their monkeynastix classes and they received their medals this term. Thank you Sanet and Dirk from Monkeynastix. A wide variety of Life skills were taught and it played a huge role in their listenings skills, gross and fine motor skills and concentration. The title of the concert was Goldilocks in a twist. The main idea of the story was to draw our hearts back to the true meaning of Christmas. It was delightful to see how the children grew into their roles and how their self confidence improved. A huge thank you to Life church for the use of the church, Madel and Jo Swart for their support. Bililda Kamp and her team were responsible for the décor and the costumes, Shannon and her team were responsible for the catering, Elri and Piet took lovely photos, and Miranda was on her post at the sound desk. Thank you to you all, the hall was packed with parents and supporters- everyone had a great time. We treasure our relationship with False bay High school. We received a box filled with hand made beanies, scarves,mittens,sweets and stationary. Thank you Herman Janse van Rensburg for your involvement with our school. On 26 November we were fortunate to receive a generous cheque from Balwin Properties of R40 000. They host a yearly charity hat walk and we were fortunate to be one of the beneficiaries. 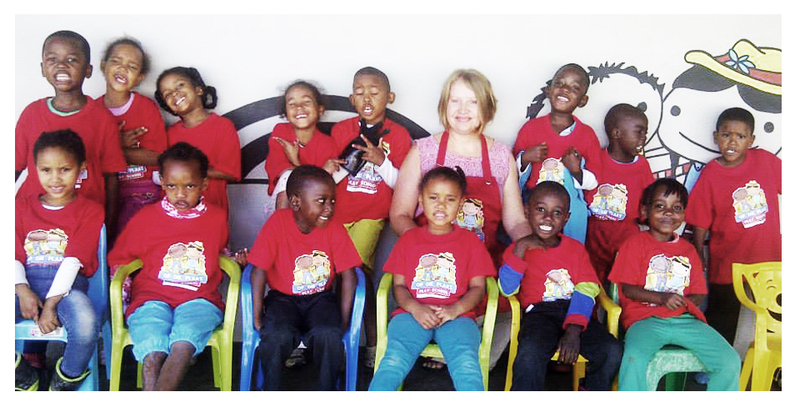 Thank you so much – this will impact many lives at Op die plaas Preschool. The staff were blessed with a boat trip for the end of year function. It was a perfect day and we enjoyed each others company. We are sad to say goodbye to the Grade R assistant, Kaylen. She has served the Grade R class with enthusiasm,energy and commitment. She will be attending a nursing course next year. We wish you all the best for your future and we are so grateful for all your hard work. The children were treated to a Christmas party on 7 December. Thank you to all the generous people who filled shoe boxes. 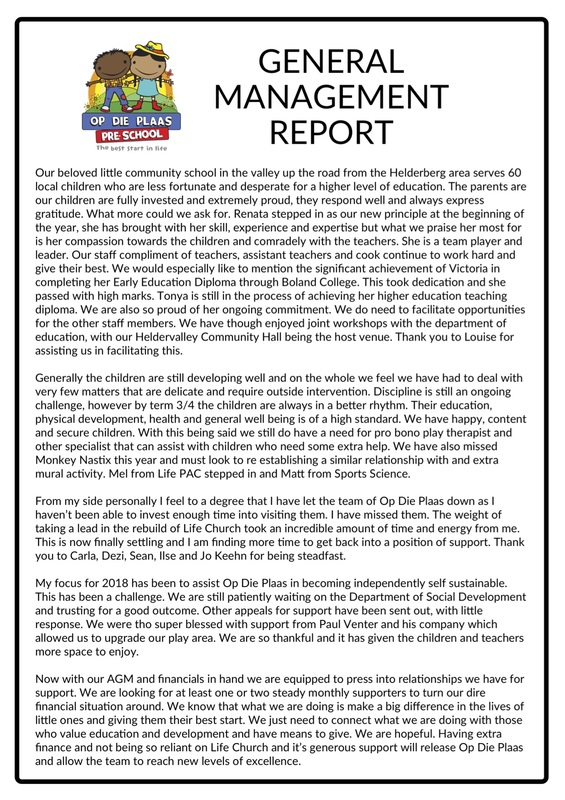 We received many thanks from parents and children. We are excited to announce that two of our staff members, Victoria and Tonya will be studying part time next year. We wish them all the best – we are so proud of them. Merry Christmas to you all – may your hearts be filled with joy and peace and may you build lovely memories with friends and family. See you all in 2017! True to Cape Town we had a marvellous spring week in August and on 3 September we wore our winter woollies again! 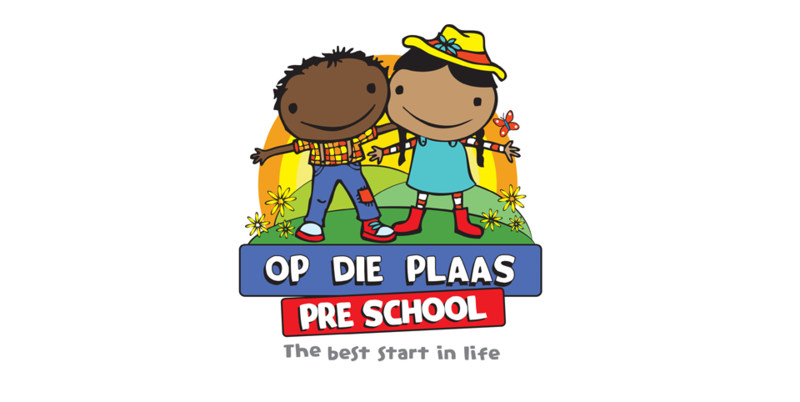 Op die Plaas kids had a busy winter time and we are excited to see how they grow on an intellectual, emotional and spiritual level. 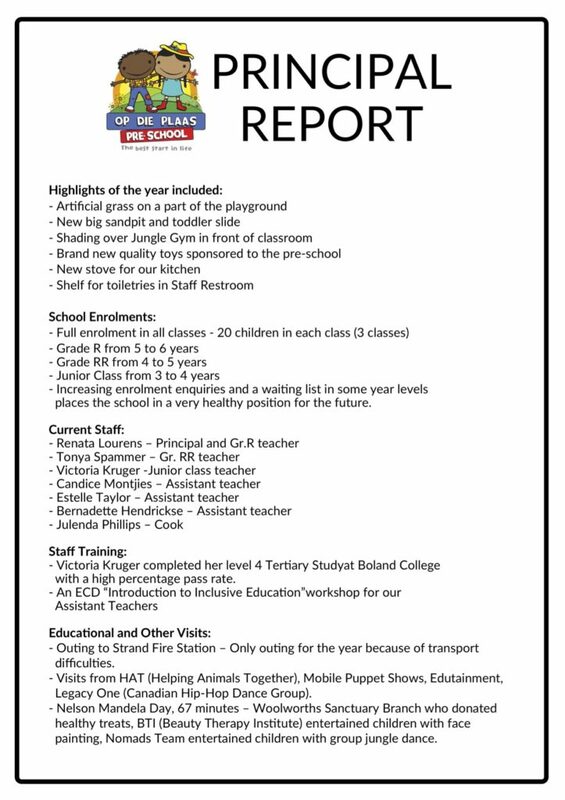 The school is still growing and changing on a daily basis and we are honoured to share all the good news with you. We started a new reward system and the children love all the praise and encouragement. We had a great parents meeting this term – we have enthusiastic and loving parents. Parents, keep encouraging, loving and showing an interest in your child’s education. We are excited to send our staff on training. Thank you to Masikhule educare training facility for taking good care of Lizelle, the Grade O assistant. She is busy with her advanced Early learning course. We are also very excited about our Persona doll. We received her through Masikhule and she will be a valuable educational tool. We will be using her to teach emotional intelligence and also social knowledge and identity. We are the proud owners of 10 brand new Y-bikes! Thank you Des Mcleod and ECHO @ Erinvale. Thank you to Minette for another bike donation. -Thank you to the Cape wine-lands health department for the lovely posters and advice to make the school even better. We were fortunate to be a part of the book fair for the third year. We had lots of fun while we were making a huge profit. Thank you to all the volunteers, staff and friends who worked so hard to make a success. It was a great opportunity to showcase our school to the community as well. We received a visit from one of our local private schools. They surprised us with some treats and tinned food products and they entertained the kids with their Mascot, Jagger. Thank you, Curro Sitari – we were honoured to meet the teachers and we are excited to follow your journey. We visited the Community garden in Somerset West. The children learned more about plants, and even planted their own beans. Thank you Desmond and the team from the centre for organizing the outing, we had a lot of fun! We were entertained by the cutest pink piglets. Thank you, Carmen – the children fell in love with them and now everyone wants a pig as a pet! 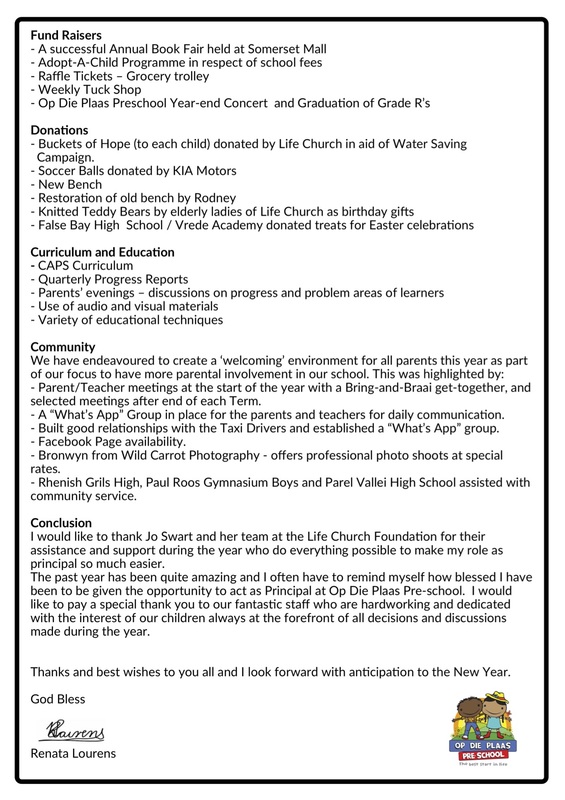 24 November 2016: School concert @ Life church, Somerset West. We are hard at work to make this event a success. The time flies by and here in Cape Town we are gathering our winter woolies and umbrellas. We had a basketful of experiences during the first term and we are excited to share it with you. We receive gifts and donations throughout the year – we are blessed. Thank you to Alet Coleman for the colourful beanies. The children are ready for winter.We are a registered NPO! 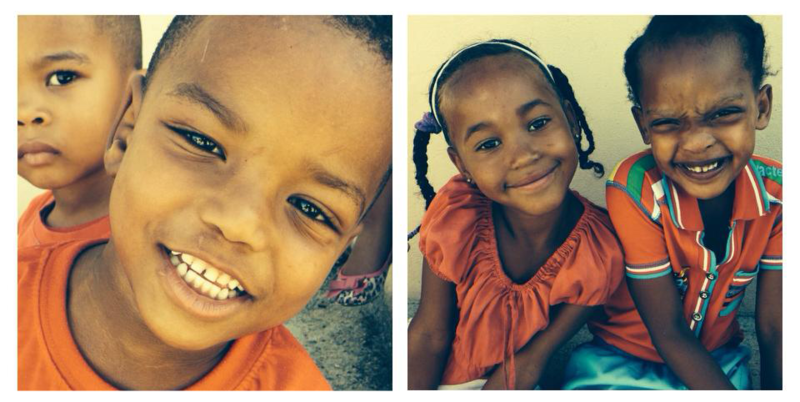 Thank you Edward Bennet and Jo Swart for all the phone calls, e-mails and patience to register the school. We had a fundraiser for one of the staff members. Her wendy house needed repairs and it was made possible with the money raised. Thank you to Tina Podbielski, Kelly and the UCSA team for the boerewors and vetkoek initiative. The school’s ablution block is being renovated. We are extremely excited! Thank you to Francois Carstens and Ben Swart for the generous donation to finish the project. Thank you Francois for all the time spent at the school and all the hard work that went into this project. The bathrooms look amazing and it makes a huge difference. Thank you Pierre du Preez from Wesram Plant Hire & Construction for the repair work to the basement parking area, the consultation with the structural engineer and supervision of paving of the driveway. Thank you James Turner from Clay Tile for the brick donation. The paving looks amazing! Sanctimonia, your continued involvement and assistance with fixing the basement parking is highly appreciated. Thank you, Louis Smith for assisting with the structural report on the basement parking area and continued support during renovation. One of our Life groups from our congregation baked pancakes during a church service to raise funds for the school. Thank you Rynie – we appreciate all the hard work. On the last day of the first term the teachers were spoilt with a day on the beach. Six volunteers stepped in to entertain the children and the staff enjoyed the sun, ocean and waffle treat. Thank you Jo Swart and Ilse Pistorius for investing in their lives. We had our own photo shoot in April! Thank you to Cassandra who created lovely memories. The children enjoyed the day and we were able to capture their personalities in a unique way. The children had a wonderful experience with Kim Slabber from Helping Animals Together. She taught them about caring for pets. Her dog and parrot came along and the children were fascinated. We are fortunate to welcome the UCSA team on a regular basis and they entertained us with a puppet show. We invited our sister school Little Days as well and the kids enjoyed the puppets and songs. We had the opportunity to send an assistant and a teacher on a Masikhule training course. They returned with renewed enthusiasm and inspiration. We had a great time at the Eagle Encounter at Spier. Thank you Tracy for the wonderful experience – the children were mesmerized. Supporters and friends – thank you for your support, prayers and love.